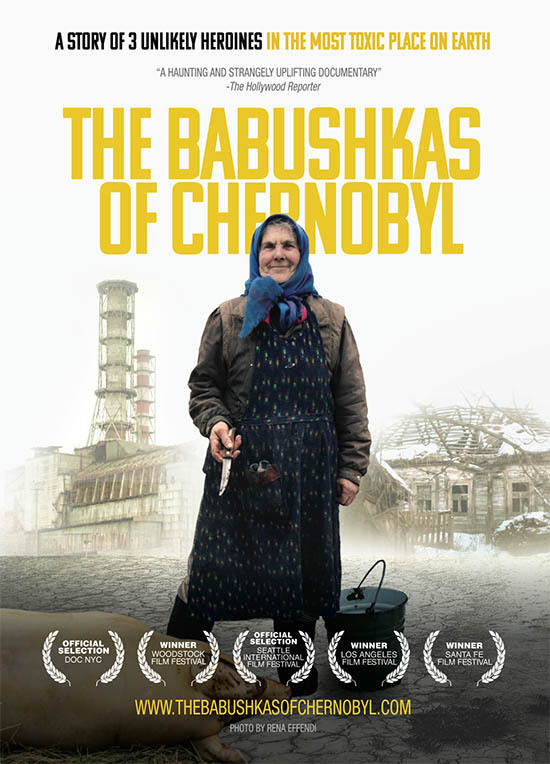 Watching “The Babushkas of Chernobyl” I couldn’t help but think there are those out there who have no idea what happened on April 26th, 1986 in the Soviet Union (USSR). Come to think of it, many might not even know what a babushka is. For those who know about both, the title of this documentary alone will likely be a draw – it was for me. I wondered what a headscarf usually adorned by elderly women would have to be with on of the most devastating nuclear accidents in history. This affectionately made documentary from first-time directors Holly Morris and Anne Bogart takes a look at life in “the Dead Zone”, as they follow a group of elderly women who have been living unofficially in the Chernobyl Exclusion Zone for years. Despite the dangers of radiation exposure, these independent and stubborn ladies contently live out their remaining days in the dilapidated homes of their childhood. On that date back in ’86, the explosion from Reactor No. 4 that rocked the world released 400 times more radiation as the bomb that dropped on Hiroshima. There were hundreds of thousands of people forcibly evacuated from the villages near Pripyat, where the nuclear power plant was located. A roughly 19 mile radius from the epicenter was deemed uninhabitable and evacuees were told they could never return. 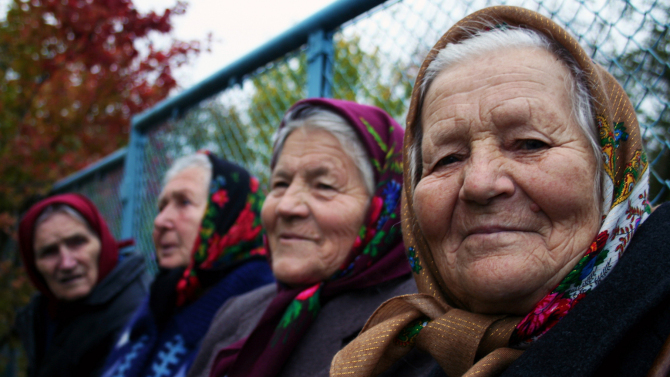 The area became a ghost town, but it didn’t take long before it became clear that there was a group of babushka women who either refused to leave or crawled under the barbed wire fence to return to the only place they call home. 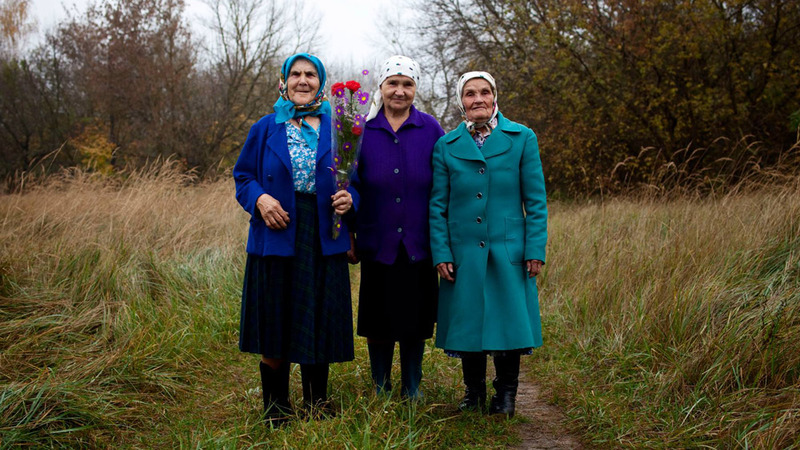 “The Babushkas of Chernobyl” focuses on three of these resilient women, presumably in their 70s and 80s (if not older), and for a little over an hour offers viewers a look at how they’ve survived all this time and what their life is like in a place where time seemingly stands still. Hanna Zavorotnya and her sister, Sonya (disabled since childhood) live in Kupovate Village and Maria Shovkuta resides in nearby Opachichi Village, amongst approximately approx. 100 returnees (mostly women) who live on some of the most toxic land on Earth. Regardless, they’re able to live off the land – growing vegetables, canning food and checking in on each other – and can sometimes be found swigging back shots of vodka or singing and dancing with each other. As content as they seem, they’ve lived through the death of loved ones and wars besides the Chernobyl disaster. Maybe, after all they’ve seen, the potential illnesses that comes with radioactivity doesn’t seem like such a big deal. The more time Morris and Bogart spend with these women and the lakes and forests that surround them, the more we learn how their wisdom, faith and sense of humor has fueled their longevity. Their life is almost completely off the grid, except for a cell phone ring here and there from loved ones checking in and officials driving in with meters to take radiation level readings. Sometimes they’re driven to the local hospital for testing and an overall check-up and sometimes they’re so fragile they never come back. Nevertheless, these sweat women, with their strong weathered features are forces to be reckoned with. When government guide, Vita Polyakova, visits them, she is unable to refuse whatever food she is offered or it will be considered an insult. Although the focus is primarily on these women, a portion of the documentary looks at the certain percentage of outsiders who covertly make their way into the Exclusion Zone, inspired by the survival video game called S.T.A.L.K.E.R. : Shadow of Chernobyl. These trespassers roam the terrain, recreating the steps taken by characters in the game they’ve played, just to brag that they did it. They scrounge through abandoned Chernobyl apartments and view the nuclear plant from rooftops, without any care that these grandmothers live close by. It seems like the purpose of this section of the film is to show more of the land and a younger generation who frequent the post-apocalyptic area, but it could’ve easily been edited out, since we’re already so immersed in the world of the titular characters. Near the film’s conclusion, Morris and Bogart follow the babushkas as they gather with local Ukrainian workers for a pre-sunrise Easter worship service. Their gratitude and humility for their creator is evident as they greet each other with “Christ is risen!” and it almost makes the purity and simplicity of their lives something to envy.